Part of the Master Angler collection from Flying Fisherman are the large-fitting Down Sea Sunglasses. They are comfortable, lightweight and feature TR90 frames that are not only flexible, but extremely durable. The nose piece and inside of the ear pieces feature a co-injected non-slip surface that keep these glasses from sliding or slipping off. The RhinoLenses offer the angler protection from flying hooks and lures. I am not easy on these glasses and have never had any scratches. These lenses are also shatterproof and offer AcuTint coloring for better optical clarity and 100% UV protection. There are a few different color options for Down Sea Sunglasses. I selected blue and find that this color tint really helps with foggy/hazy days, fishing in general, defining contours and color perception. Though I have not had any issues with scratching with these glasses, I have experienced smudging on the lenses, much more than a higher-priced pair. 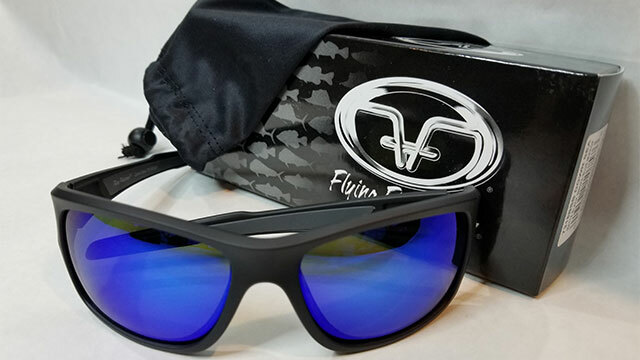 Flying Fisherman offers a 1-year limited warranty on their sunglasses, which helps to put them in a price range accessible to more anglers. These sunglasses are under $100 and can compete with the $200 pairs of comparable glasses. I have blue eyes which are more sensitive to sunlight. When wearing the Down Sea Sunglasses for a day on the water or outside on a bright day, my eyes never feel fatigued or like they are burning. 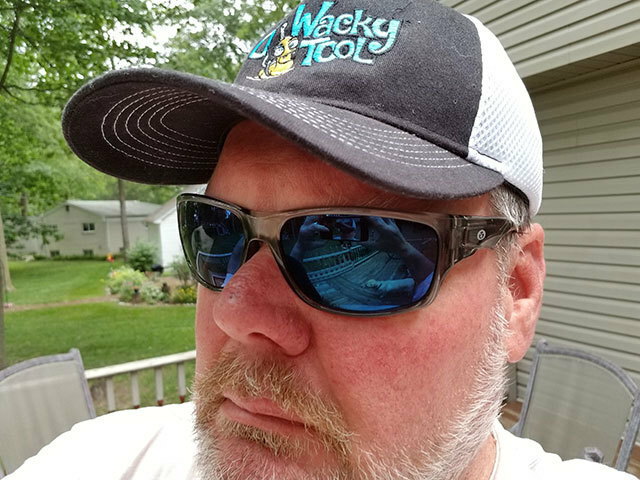 Overall, the next time you are looking to purchase a pair of sunglasses and are on a budget, Flying Fisherman should be on your list of sunglasses to consider purchasing.